This was a birthday present from my husband because he knows how much I love cookbooks. 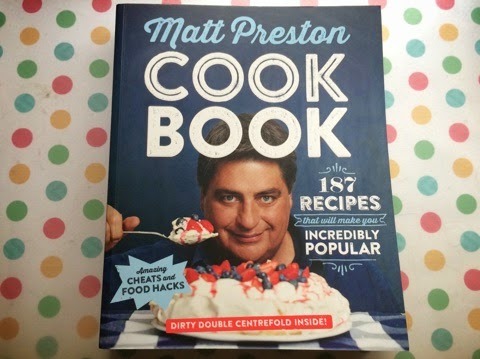 I don't know if it's weird or normal, but I will read cookbooks from cover to cover in bed at night. I haven't made anything from this book yet but there's a recipe that includes caramelised white chocolate that has blown my mind. I've bought the white chocolate already, I'm just waiting for the opportunity to slow oven-bake it and try it out for myself! 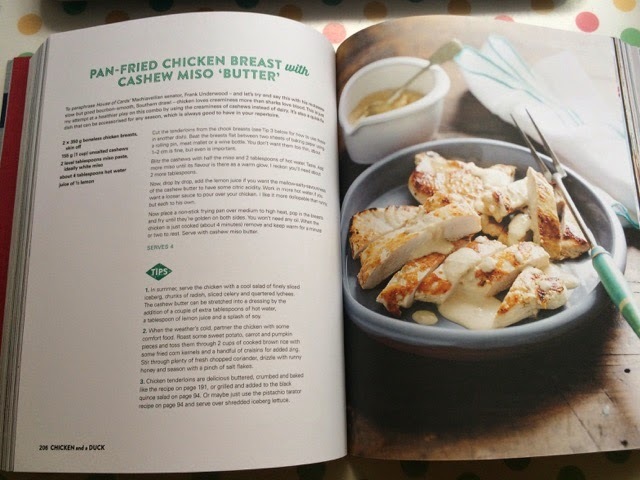 In fact, that's probably how I'll use this book- pulling elements and pieces of inspiration- trying techniques and flavour combinations- but I can't see me making many of the recipes exactly as described. But that's what I like about it. There are lots of salads, lots of tips and shortcuts, lots of new ideas. If only they could have left out the innuendo and "my ancestor who looks like me wrote a cookbook" injokes it could have been almost perfect. I bought this book with a giftcard I received for my birthday. 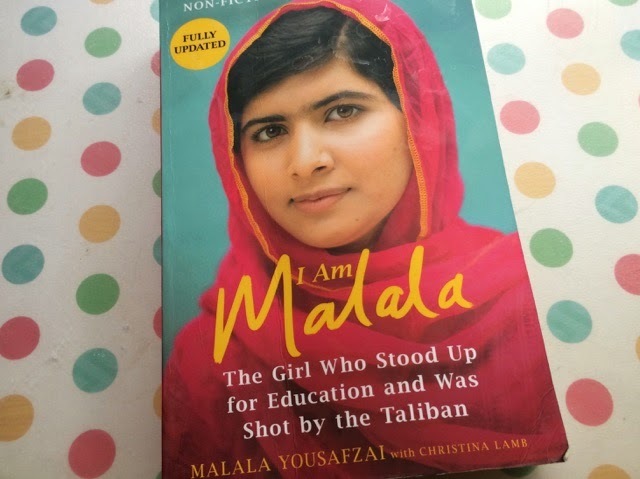 Like many people, I've been fascinated and inspired by Malala for a while so this is a book I've looked forward to reading. 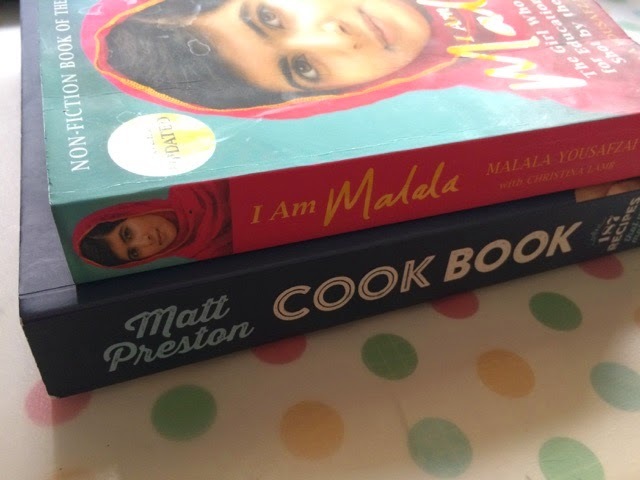 It mainly concentrates on the political situation leading up to Malala's shooting rather than the changes to her life afterwards. 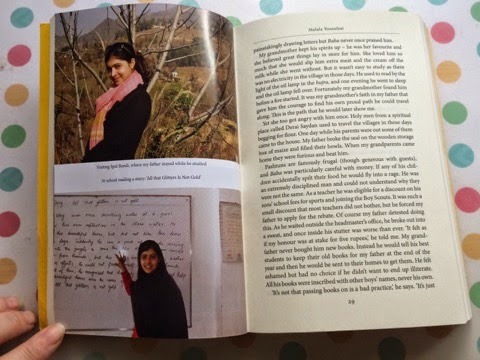 The thing I found quite surprising (although I don't know why) is that Malala is a very normal girl. Although one of the top students in her class at home, she is very average compared to her new British school peers and like all teenagers, there's quite a bit of normal self-centredness that shows through. Not that these are a slight against her, I simply it to show that despite the calm and sophisticated Malala we see in the media, this happened to a normal, vulnerable girl which makes it all the more heartbreaking.